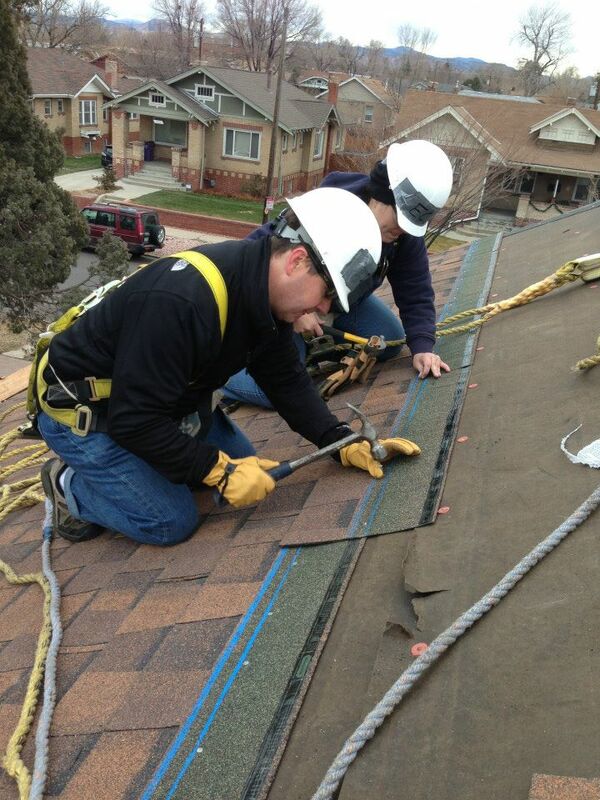 Dave McLain demonstrates his Christian commitment by volunteering with Habitat for Humanity. Yesterday’s New Testament Mass reading was from the letter of St. James in which he talks about the importance of works. Faith alone versus works is one of the most controversial bumps in the road between Catholic Christians and non-Catholic Christians. Far be it from me to place myself in the midst of this fray. I have no insider information. Pope Francis doesn’t have me on his speed dial. He’s not coming to my house for burgers and brats while he’s here in the United States. Having said all of the above, I will tell you that I love the letter from St. James. I think he sent it to me. And I will also tell you that I have never quite understood why the conflict between the faith-aloners and faith-and-workers even exists. I think the two go hand in hand. For every time a Catholic Christian points to James’ letter to prove the need for good works, a non-Catholic Christian can point to an equally compelling letter from St. Paul saying faith alone will save you. Both can’t be wrong. And I personally don’t think either is wrong. Again, no insider information….but I believe that if you have faith, works come naturally. They go hand in hand. I might be wrong (since I can’t be in the mind of each and every Catholic), but I doubt there are many who think that if a person believes in Jesus and believes that he died for our sins, but never leaves his or her apartment and therefore does no good works, they will not be saved. But as Christians, we follow the teachings of Jesus. And no one can possibly doubt that Jesus taught that we have to truly demonstrate our faith. He told us we have to love one another. We have to feed the hungry and clothe the naked and visit the sick or those in prison. It’s what we do as Christians. I know many people who live out their faith in this way, giving money to the poor, helping out in soup kitchens, building Habitat for Humanity homes, volunteering at their churches or schools. And I also know people who believe themselves to be models of Christ and yet gossip behind people’s backs, look the other way when people are in need, and make judgments about people without knowing or understanding their circumstances. Heck. I’m sometimes one of them. I don’t know who will be saved. It’s not my job to save anyone. But I do believe people wanting to model Christ are more inclined to do good works as part of their faith journey. St. James said it a lot better than I: I will demonstrate my faith to you from my works. « Saturday Smile: Rover Anyone? I love that letter from St. John too. And this line from St. Francis. Preach the gospel at all times. Use words if necessary. that’s true, but our parish priest talked about them going back to the way it was before, Baptism and Confirmation at the same time. Ours did too. The bishop must have asked them to preach about that. But I was thinking about St. James’ letter instead of listening! authority has me on their speed dial either.